Searching VPN for iPhone or iOS that takes your privacy seriously and hates “copyright trolls” as much as you do? In this article, I will show you my hand-picked VPN for iPhone and iOS with their features, how to use them and what you can do with each one of them. You can also read our extensive guide about VPN at the end of this article in VPN basics section. If you want to use a VPN on your iPhone, iPad or iOS device then there are thousands of VPN to try and the question how should you know that the VPN for iPhone will fulfill your needs? There is no shortcut answer to that question. If you just want to download anonymously on your iPhone or Want to unblock Hulu, Netfix and watch contents that are not available in your country or you want simply the privacy protection while you surf websites, watch videos, make bank transaction to sites then read this article which was created by month long researching, testing, collecting expert’s review and vulnerability testing by our team of VPN reviewer. We have reviewed each of the VPN and highlighted their strengths and weaknesses. At the end of the article we have answered some of the frequently asked question about iPhone VPN, what are key consideration when you select the best VPN for iPhone or iPad. 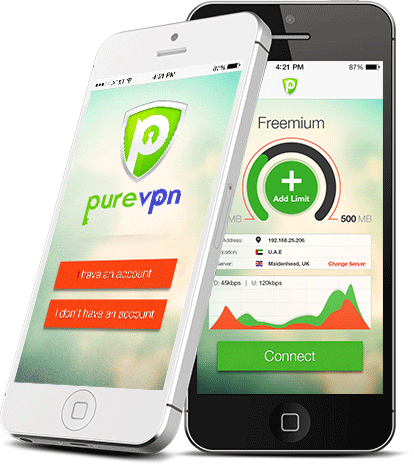 The list of the best VPN for iPhone with their features are reviewed here. NordVPN is based in Panama so it is out of the 14 eye countries that share cyber intelligence for copyright protection agencies and Govt. agenda. These 14 countries share intelligence to track or identify individuals so you can be rest assured that your data is not shared to those authority. NordVPN is the most popular VPN among the iPhone users or in general iOS users. Why? Simple user interface, faster connection, Great security and encryption without compromising speed. NordVPN has iPhone/iPad apps in the App store which you can download and install in 2 minutes. First you will want to subscribe to their premium package. Well, you can save money if you buy the premium subscription from here. Double VPN creates two tunnel at the same time so it will be slow. But if you don’t use double VPN then you can enjoy the high speed VPN for all your streaming or downloading needs. NordVPN has numerous leak protection option thus your connection is always secure no matter how intrusive your ISP is. For example, it has Internet Kill switch, IPV6 Leak protection, DNS leak protection etc. All these features can be enabled from the settings. First Visit NordVPN offer page (72% discount) and buy any subscription. Now, download the VPN from AppStore and sign-in with the credentials of step 1. Open the APP, Press “Quick Connect Button“, It will ask your permission to “Add VPN Configuration“, Just Tap “Allow“. If you are one of those users who wants privacy but need to consider the cheap price, then IVACY probably is the best choice for you. Ivacy VPN is based in Panama so they are not bound to any US Jurisdiction Laws. IVACY is one of very few VPN companies that really care about privacy but not storing any connection or data logs. Also the iPhone app for Ivacy is really easy to use, single click connect and disconnect feature and you can enjoy uninterrupted, unblocked internet with privacy. It also has top notch VPN servers that gives your really high speed while both downloading and browsing. Single click VPN connection with iOS app for iPhone / iPad. Bypass Firewall, Port Blocking, ISP throttling etc. to unblock any sites. P2P optimized server for faster torrent download speed. Smart-purpose Selection lets you optimize your internet according to your needs. It also supports up to 5 devices with single account. Lots of features can make you confused at first. IVACY VPN has multiple protocols and military grade encryption to protect your sensitive data from snooping. IVACY VPN support a whole lot of other devices not just iPhone such as Windows, Android, Mac, Kodi, Roku, Smart TV etc. so you can simultaneously use any of the five devices. DNS leak protection, IPV6 and webRTC leak protection for advanced users. Smart purpose selection from torrenting to streaming to downloading – you choose!! Torrent and p2p supported server with dedicated speed. First VISIT IVACY VPN offer page to get 84% discount. Now download and install IVACY VPN app from App Store. Open the App and allow VPN configuration loading and next press Quick Connect. CyberGhost VPN Pro is truly complete VPN solutions for iPhone / iOS devices. Why so? Because it has been in the VPN business for a long time and they have evolved a lot since the starting time. All developments are from Germany and Romania which is a Good thing because top notch security professionals are working hard to protect your privacy. Often US based VPN “comply” with the local Laws and sell out the users’ information to the Govt. or agencies like NSA and FBI to run their business smoothly. What do you expect from a suitable VPN for iPhone? Fast Download and upload speed, no connection drop while streaming, great user interface in both iPhone and iPad, and strong encryption. iOS app is available for iPhone / iPad. OpenVPN, L2TP-IPsec and PPTP protocols with 256 Bit encryption. 7 Days limited free trial available. CyberGhost VPN drops your internet connection if VPN is not connected so that you can avoid unexpected disclosure and they call it Internet Kill Switch. DNS Leak protection avoids DNS tracker imposed by ISP or data snooping by third party. Torrent supported and p2p optimized server to ensure blazing fast upload and download speed. First Buy CyberGhost VPN subscription from their Offer Page with 77% discount (Limited time offer). Next download and install CyberGhost VPN app from the AppStore. Open the VPN app. Just swipe first introductory animations and then it will ask you to Allow the VPN configuration change. Press Allow and give the app necessary permission. Next press “Start” and VOILA!! you are now secured with CyberGhost Premium VPN. PureVPN is one of the leading VPN companies with tons of features – and it’s iOS app is no exception. Pure VPN app for iOS (iPhone/iPad) is simple to setup, automatically connects you to the fastest servers, optimized servers for different purposes like streaming, downloading, file-sharing etc. It supports many modern and secure encryption protocols, gives dedicated IP for premium users, supports multiple language, one demand VPN for advanced users, and unique in-APP support ticket facilities that solves any issue that you may face within minutes. Free 2GB Bandwidth Per Month with Free Account for every iPhone users. 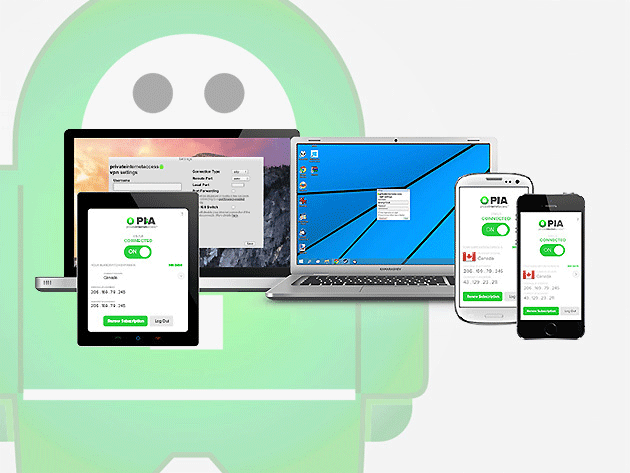 PureVPN is Compatible with 20+ Devices. PureVPN has 750+ Servers in 140+ Countries. Automatically connects to the fastest servers. PureVPN uses strongest IPSEC protocol to secure your connection. 7-Days Money-Back Guarantee with 2GB free Bandwidth. PureVPN serves million of users so you have check the current server load before connecting or better you select “automatically connect to faster server” option. PureVPN supports PPTP, L2TP, SSTP, IKEv2, OpenVPN & the revolutionary Stealth protocol. It has “Secure Wi-Fi” feature. Internet kill switch to avoid unintension IP disclosure during sudden VPN disconnection. Unlimited server switch and unlimited bandwidth. First visit PUREVPN 79% discount page and buy subscription. Next install PureVPN iOS app from App Store and open it. Login to your account and connect with your VPN. Private Internet Access VPN has affordable price, thousands of servers worldwide, even it has Ad Blocking in built, and most importantly it has user friendly interface that lets you connect to the VPN server with ease. For iOS it relied on IPSEC protocol and encrypts your browsing data. It has numerous servers in many countries means that you can always select a less noisy server for faster connection. It gives you one of the cheapest price points but it’s service is top notch. I personally use Private Internet Access VPN in my iPhone because of it’s simplicity. Encrypt your Wi-Fi, P2P transfer, Block Ads with single VPN app. PIA VPN has 3054+ Servers in 28 Countries. Supports upto 5 devices in a single subscription. One click connect , disconnect for ease of use. PIA VPN strickly follows no traffic log policy. Private Internet Access needs to improve their app – design wise. Everything else is solid. 2.91$ per month with 2-year contract. Mulitple VPN gateway to choose. P2P support on all of their servers. Doesn’t hog download speed while you use the VPN app. It’s “MACE” can block any malware link and also blocks most of the internet ads. First Visit Private Internet Access 58% discount page and subscribe. Download and install PIA VPN app. Login with your email and password and then connect. If ask for VPN configuration adding permission then just allow. 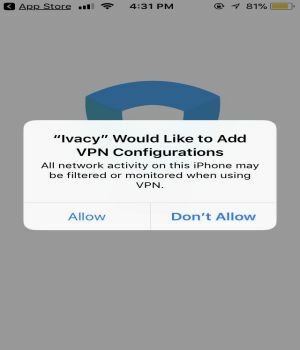 There are several factors that you should consider while choosing a VPN for your iPhone or other iOS devices. 1. Does the VPN has a dedicated app for iOS? This is important because there are many VPN company out there with just Android and PC client. Also you might want to know if the iOS app is easy to use. If the User Interface is confusing then there is no point of using them. Hence, we have picked top 5 VPN apps for iPhone in this post carefully so that you don’t have to waste your time searching for them, installing and buying premium services to know about their usability. 2. How many servers are in how many different places around the world? Having servers in different countries means you can select one server nearer to you which is useful because often a nearer server will make the Latency to the lowest. And if it has several servers in a single country then you can also select the city that you want to connect to and also if a VPN company has many users then some of their will be congested. So you can select a free server always. Most of the VPN apps for iPhone mentioned here has auto server selection option which means the app will automatically pick the best server with less load to give you high speed browsing,streaming and downloading facility. If you have one or two PC, one mobile , one tablet etc. what will you do? Buying separate subscription for each of the device is insane. Hence, some VPN provider for iPhone has simultaneous connection allowance which usually three to five. But be aware there are some VPN providers that allow only one device for each subscription. So, we tried out level best to only include VPN apps that has five or more simultaneous connection facility. 4. Which encryption protocol is being used? For iPhone or other iOS devices most of the VPN apps uses IKeV2 and IPSec. 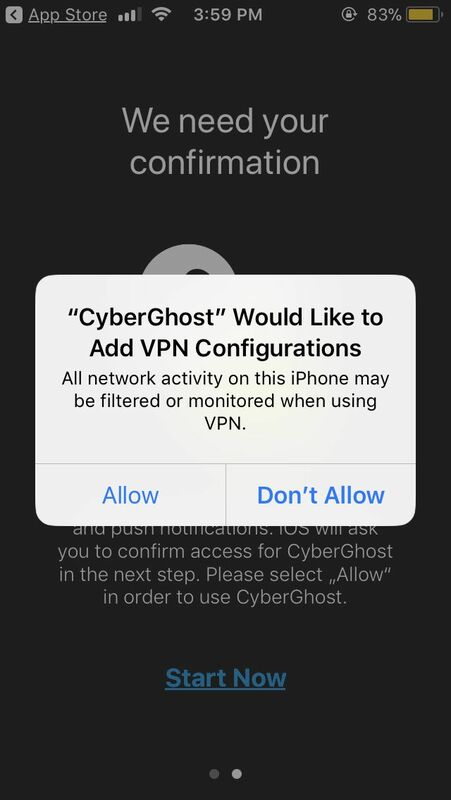 As there are some limitation with OpenVPN protocol with iOS devices most of the company avoid this so that they can provide the customers with auto configured VPN app else you would need to configure everything by yourself. iPhone by default supports PPTP too. Some free VPN companies provide PPTP protocol. If we compare these encryption protocol then IPSEC gives you a little faster speed than its counterpart IKeV2. 5.Does they save your connection log? Almost every VPN providers claim that they never log your connection details like which IP address is connecting to their which VPN servers? But remember if they want then they can easily log details and even your account details and payment methods and email address. So how will you decide if they will hand over your information to Govt. agencies? You have to read the previous history of those vendors and know if they ever betrayed their customers ? This best VPN app for iPhone listings included VPN companies with good customer feedback and trusted userbase. 6. And finally the Price? You may have assumed that all cheap VPN apps for iPhone are useless , right? WRONG!! Not all cheap VPN app is useless but most of them. And free VPN apps for iPhone are known to be the two sided sword that will cost you extra when they will reveal your personal information God knows when. So you have to avoid all free VPN app for iPhone. Now if you are looking for cheapest VPN provider I can recommend you to choose the 2 years plan of Ivacy and currently they are running a campaign and giving extra one year free with a whooping 84% discount. I was finding that kind of Apps for a long time, So thanks a lot! This is great information about VPN. Generally each persons using VPN for iPad/ iPhone and iOS but don’t know about process. Once again thanks for sharing such use full information.